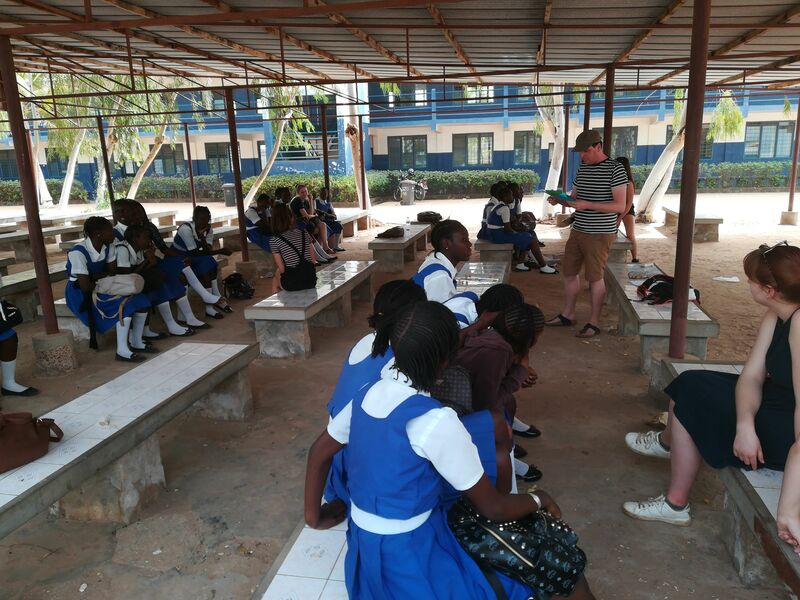 “The Gambian and Belgian education systems are miles apart yet share an important goal: to nurture learners into tomorrow’s outspoken and critical citizens”, says teacher Tom Boeve, one of the pioneers of the schoollink between a school in Oostende, Belgium, and one in The Gambia’s capital Banjul. Their schoollink revolves around health, education and the environment. 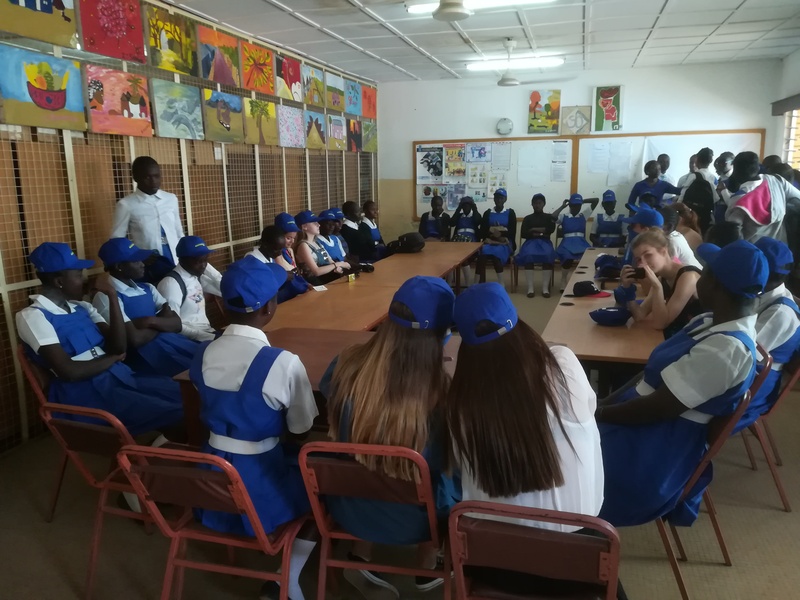 14 years ago, a partnership was forged between one school in Belgium, Sint-Jozefsinstituut-Petrus & Paulus-Centrum, and another in The Gambia, St. Joseph’s Senior Secondary School. 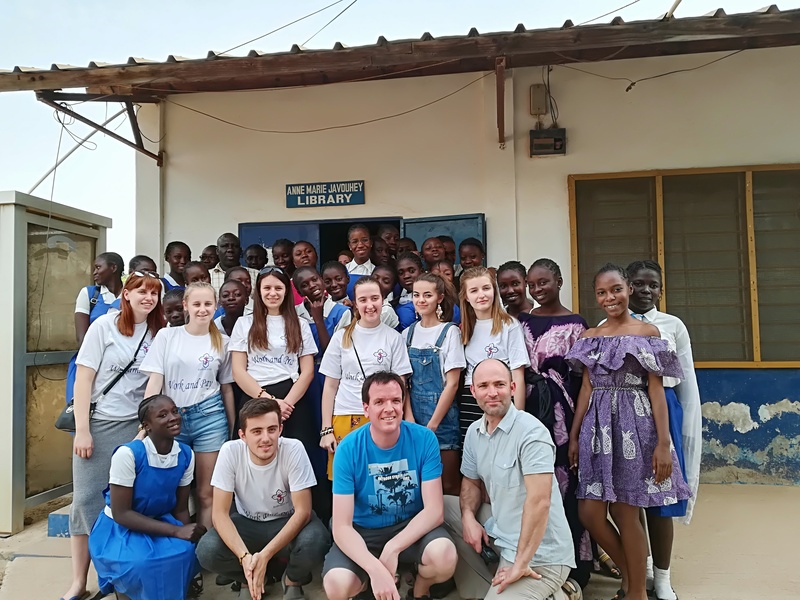 “In the beginning, our collaboration mainly revolved around creating powerful learning environments for the students in Banjul”, says Belgian teacher Tom Boeve, who was part of the schoollink avant la lettre from the get-go. In that first phase, the schools focused on issues of sub-optimal infrastructure and learning materials to improve the quality of education. It wasn’t until much later that the schoollink evolved into an exchange about cultures and traditions. 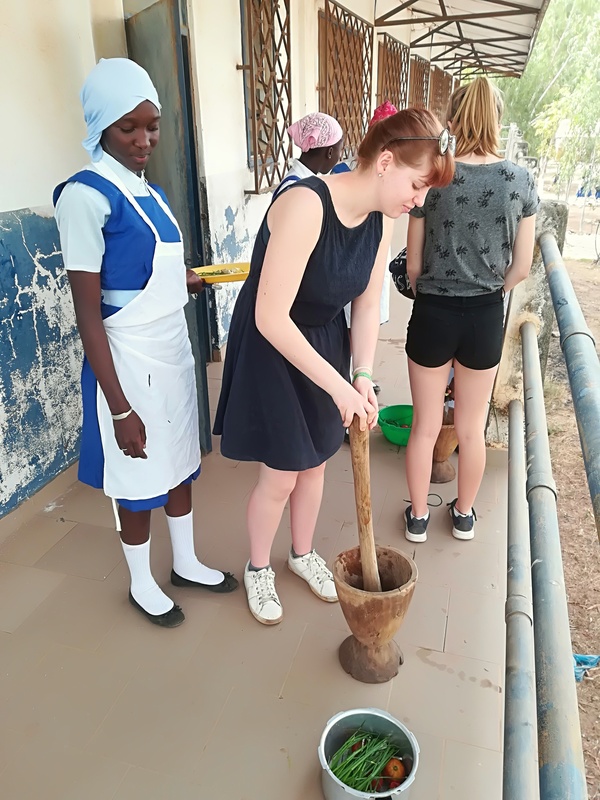 Past spring, seven students and three teachers from Belgium visited Banjul (see pictures above and below). Thanks to funding support from the city of Oostende, Gambian teachers and students will be visiting Belgium too. “We want the exchange to be a two-way street”, Tom says. The choice to work on health issues was driven by a confronting visit to the partner school in Banjul. When 15 students had their eyes checked, two were diagnosed with a severe infection. 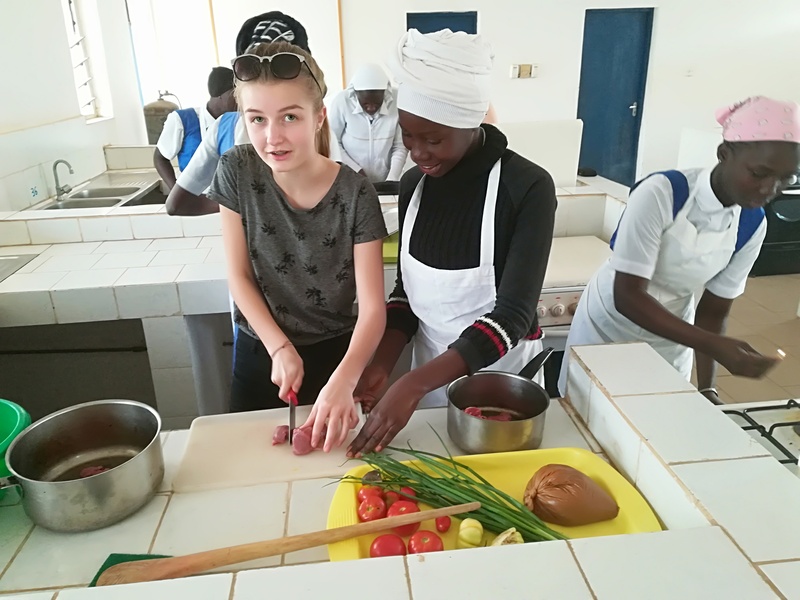 According to Hannah Cocker, the principal of the school in Banjul, these types of infection are easily preventable with enough vitamins, a varied diet and good hygiene. This prompted the science teachers to grow a fruit tree orchard in Banjul, supported by their colleague-science teachers in Oostende. They also exchange teaching practices, which gives their lessons an interesting international touch. The class groups in St. Joseph’s Senior Secondary School are large and diverse. That’s why, in their exchanges on education, the schools mainly discuss ways to implement differentiated teaching methods. It’s a real challenge for the teachers to handle the heterogeneity in their classrooms, which unavoidably leads to some learners dropping out. Just as human activity has an impact on the environment, so does the schoollink on the schools’ DNA. In Belgium, all teachers are involved in the partnership, even though not everyone visits the partner school. Schooling or safety: what would you do?